Zone starts are not that great of a metric. Although certain players do tend to be put out almost exclusively for offensive or defensive purposes, the reality is that for most players’ zone starts have a relatively small effect on a player’s performance. And yet, many hockey writers still frequently qualify a player’s performance based on observations like “they played sheltered minutes” or “they take the tough draws in the defensive zone”. Part of the problem is that we’ve never really developed a good way of quantifying a player’s deployment. With many current metrics, such as both traditional and true zone starts, it’s difficult to express their effect except in a relative sense (i.e. by comparing zone starts between players). So when a pundit says that a player had 48% of his on-ice faceoffs in the offensive zone, it’s difficult to communicate to most people what that really means. Going beyond that, even if we know that 48% would make a player one of the most sheltered skaters in the league, the question that we should ask is so what? Simply knowing that a player played tough minutes doesn’t give us any information that’s useful to adjust a player’s observed results, which is really the reason that we care about zone starts. We know that if you start your shifts predominantly in the defensive zone, you’ll likely see worse results, but zone start percentages don’t tell us how much worse they should be. Traditional deployment metrics are too blunt of a tool – they provide a measurement, but not one that gives any context to the performance numbers that we really care about. “Jackets-Canucks Face-off” by Leech44 – Own work. Licensed under CC BY-SA 3.0 via Wikimedia Commons. A debate was ongoing on twitter over faceoffs and their value. The debate lead to most of this data being scraped anyways, so I thought I would display everything for your viewing pleasure. The truth is, faceoffs tend to be highly overrated. They matter, but they do not matter on average much more than any other of the many puck battles that occur throughout the game. When you really break it down, faceoffs are really just a set play puck battle after all. However, some have more values than others. 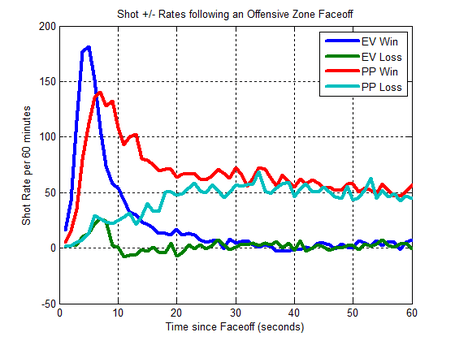 The relationship between Corsi% and winning faceoffs. Faceoffs have always been an interesting area of research. 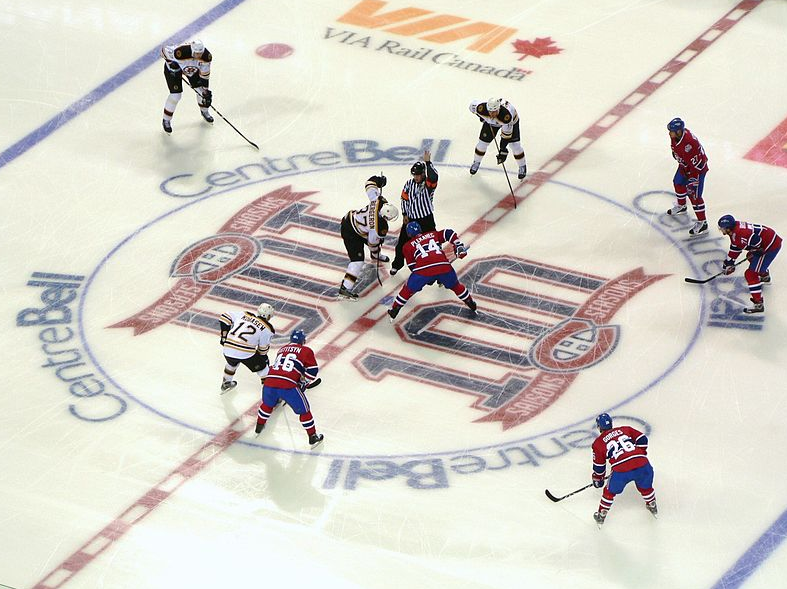 There have always been individuals in the media and public who extol faceoffs importance; I have even heard quotes like: puck possession is so important and you cannot win the puck possession battle if you are starting without the puck. From these numbers Desjardin estimated an impact of +2.45 goals for every 100 non-neutral zone faceoff wins over 50%, and +3.66 for every 100 for special teams. A real impact, but not overly huge impact. Neutral zone faceoffs carried even less of an impact with +0.90 goals for every 100 faceoffs over 50%.